Here’s another example of what a professionally-written legal blog from Myers Freelance can look like. While we have samples for criminal defense, DUI defense, immigration, and personal injury attorneys elsewhere, this sample is for family law or divorce attorneys, and deals with an evergreen topic: How child support obligations can be modified. It’s written for a hypothetical family law attorney in the state of Washington. If you and your spouse have separated, you know this, already. But if you have children to care for, it will likely come up again at some point. And some of these changes, unfortunately, impact your ability to pay child support. The changes can come in a variety of forms – maybe your child has gotten older, and now needs not just food and clothes, but money for tuition, as well, or maybe your car was wrecked and you suddenly need another one to get to work. Thankfully, the state of Washington recognizes this, and allows modifications to be made to a child support agreement, also called an “Order of Support.” Modifications are allowed if there have been significant changes since the Order was made, or if enough time has passed since the Order was put in place. At any point after the Order of Support is set by the court, you can petition to have it modified by showing that your life situation has undergone a significant change. This can be a life-saver. If you find yourself laid off from work or in a sudden financial pinch, modifying your Order of Support can decrease your child support payments, and allow you to make ends meet. However, it is up to the court to determine if your new circumstances are a “significant change” from where you were, when the Order was handed down. This is where having an experienced divorce attorney represent you in court is crucial. An Order of Support can be modified after a set period of time, even if there has not been a significant change in anyone’s living situation. Every two years, the laws of Washington allow the amount you pay in child support under the Order to be adjusted. This is often a simple process, at least when compared to a change-based modification, and only requires the parents to show that there has been a change in their income, or that the child has reached another age bracket. It is a way for the court to check in on the status of the Order, to see that everything is still working and everyone is being treated fairly. A divorce can be the most trying, emotional time of your life. Unfortunately, it rarely ends when the separation becomes official. Modifying the Order of Support is just one of the ways that divorces drag on and on. Having a skilled divorce attorney with you throughout the process can make the journey less draining and more productive, and can help you come out of the ordeal healthy and whole. Call our law office with questions, or if you are interested in pursuing a modification to your child support obligations or Order of Support. With a healthy use of keywords in the headers and body of the article, this article is strong on the search engine optimization (SEO) front, satisfying search engines like Google, and giving it a solid advantage over other online articles covering the same topic. However, this article goes to great lengths to cater to its living audience, as well. Divorces are emotional proceedings, so people reading about them are going to be emotionally charged. 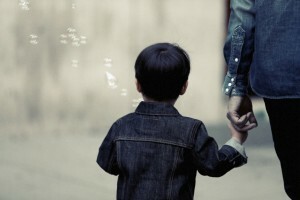 Child support modifications are no exception – they’re often brought by one ex-spouse who has run out of other options, and hotly contested by the other ex-spouse who thinks they’re already paying more than their fair share. A blog post that tried to speak to both sides would feel muted, uncaring, and unsympathetic to the reader’s cause, and would succeed in speaking to neither side. Choosing a side – in this case, the one that’s filing for the modification – narrows the potential client pool, but dramatically increases the impact it has on the readers in it. Because the audience for legal blogs dedicated to divorce and family law issues is so emotionally intense, the style of writing becomes crucial. The wrong tone will be refused, while the perfect one will strike the reader right to the core. The tone adopted for this piece is sympathetic – using words like “unfortunately” and “thankfully” that soften the message to come – but remains professional, telling readers that they expect an attorney who relates to their anguish, while still stressing a high level of technical competence. This is the talent and attention to detail that Myers Freelance brings to the table. Contact us to get a law blog started for your firm, and follow us on Facebook, Twitter, and Google+ for news, writing tips, and special offers. This entry was posted in Legal Blog Writing and tagged Blog Samples, SEO Techniques, Writing Tips. Bookmark the permalink.